Her married name became Parker. After her marriage, Mary Lane was styled as Countess of Macclesfield on 21 February 1746/47. After her marriage, Dorothy Nesbitt was styled as Countess of Macclesfield on 20 December 1757. From 20 December 1757, her married name became Parker. From 23 April 1691, her married name became Parker. After her marriage, Janet Carrier was styled as Baroness Parker of Macclesfield on 10 March 1716. 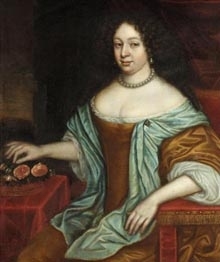 After her marriage, Janet Carrier was styled as Countess of Macclesfield on 15 November 1721. Her married name became Hope. [S6] G.E. Cokayne; with Vicary Gibbs, H.A. Doubleday, Geoffrey H. White, Duncan Warrand and Lord Howard de Walden, editors, The Complete Peerage of England, Scotland, Ireland, Great Britain and the United Kingdom, Extant, Extinct or Dormant, new ed., 13 volumes in 14 (1910-1959; reprint in 6 volumes, Gloucester, U.K.: Alan Sutton Publishing, 2000), volume I, page 167. Hereinafter cited as The Complete Peerage. [S6] Cokayne, and others, The Complete Peerage, volume I, page 167, says 29 November. He succeeded as the 2nd Earl of Annandale and Hartfell [S., 1662] on 17 July 1672, as well the 1661 creation.1 He succeeded as the 2nd Viscount of Annand [S., 1661] on 17 July 1672.1 He succeeded as the 2nd Lord Johnston of Lochwood, Lochmaben, Moffatdale and Evandale [S., 1662] on 17 July 1672, as well the 1661 creation.1 He held the office of Hereditary Steward of Annandale and Hereditary Keeper of Lochmaben Palace on 17 July 1672.2 He was educated at University of Glasgow, Glasgow, Lanarkshire, ScotlandG.1 He first plotted against King James II, and then for him.1 In 1689 he raised and commanded two anti-Jacobite Troops of Horse against Viscount Dundee.2 He was appointed Privy Counsellor (P.C.) [Scotland] in 1690.1 He held the office of President of the Council [Scotland] between 1693 and 1695.1 He held the office of Extraordinary Lord of Session between 1693 and 1721.1 He held the office of President of the Parliament [Scotland] in 1695.1 He held the office of Lord Treasurer [Scotland] between 1696 and 1705.1 He held the office of President of the Council [Scotland] between 15 May 1696 and 1705.1 He held the office of Lord High Commissioner to the General Assembly of the Church of Scotland in 1701.1 He was created 1st Earl of Hartfell [Scotland] on 24 June 1701.1 He was created 1st Marquess of Annandale [Scotland] on 24 June 1701.1 He was created 1st Lord Johnston of Lochwood, Lochmaben, Moffatdale and Evandale [Scotland] on 24 June 1701.1 He was created 1st Viscount of Annand [Scotland] on 24 June 1701.1 He held the office of Lord Privy Seal [Scotland] between 6 May 1702 and 15 December 1702.1 He was appointed Knight, Order of the Thistle (K.T.) 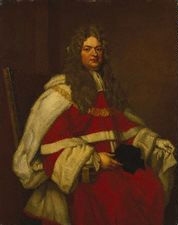 on 7 February 1703/4.1 He held the office of Lord High Commissioner to the General Assembly of the Church of Scotland in 1705.1 He held the office of a Principal Secretary of State between 9 March 1705 and 29 September 1705.1 He held the office of Representative Peer [Scotland] between 1708 and 1713, even though he was opposed to the Union.1 He held the office of Lord High Commissioner to the General Assembly of the Church of Scotland in 1711.1 He was appointed Privy Counsellor (P.C.) on 19 April 1711.1 He held the office of Great Seal [Scotland] between 1714 and 1716.1 He held the office of Lord-Lieutenant of Dumfries, Kirkcudbright and Peebles between 1715 and 1721.1 He held the office of Privy Seal [Scotland] between 1715 and 1721.1 He held the office of Representative Peer [Scotland] between 1715 and 1721.1 His last will was dated 29 December 1720. [S6] G.E. Cokayne; with Vicary Gibbs, H.A. Doubleday, Geoffrey H. White, Duncan Warrand and Lord Howard de Walden, editors, The Complete Peerage of England, Scotland, Ireland, Great Britain and the United Kingdom, Extant, Extinct or Dormant, new ed., 13 volumes in 14 (1910-1959; reprint in 6 volumes, Gloucester, U.K.: Alan Sutton Publishing, 2000), volume I, page 166. Hereinafter cited as The Complete Peerage. [S6] Cokayne, and others, The Complete Peerage, volume I, page 168.